Home improvements have experienced a recent growing trend since a slowdown immediately following the financial crisis – with the most dramatic growth in the last 5 years. People are now spending 42% more on home improvement projects than 20 years ago, according to a new poll by MBNA. What’s driving this trend? The simple answer is people are investing more in their properties and actually moving home less often. Among the most popular home improvement project undertaken in the UK is the upgrading or remodeling of the bathroom or the installation of a second shower. 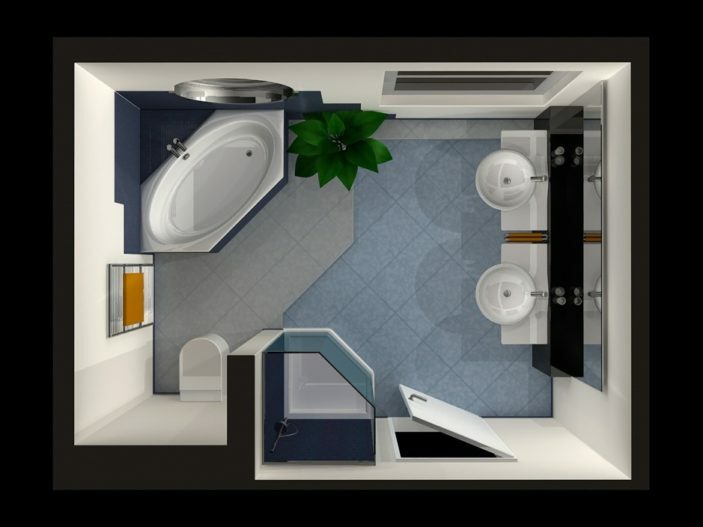 Bathroom remodeling: UK bathrooms are notoriously small and offer a challenge in terms of accommodating anything other than the basic requirements. This has led to bathroom designers becoming ever more creative. One of the most popular recent innovations is the steam shower and bath combination. While not long ago a wall-mounted shower head over the bath was sufficient, nowadays people are looking for even more functionality and features when it comes to bathing. Steam shower cabins which include a bath, steam and feature-packed showering facilities offer a world of bathing luxury and often include superb features such as seating, audio capability and Bluetooth connectivity for the ultimate in bathroom fixtures. Additional shower: advances in technology and manufacturing techniques have given birth to the stand-alone shower cubicle. This is a solution for all those wishing to benefit from having a second shower facility at home, without any need to build an entire second bathroom. These fully sealed shower units only require connection to the water and drainage systems and electricity supply. They can be located in a bedroom or in a suitably converted large walk-in cupboard space or similar. Cost conscious: showers save money – and water. The average shower uses substantially less water than a bath, and modern steam showers use even less than a simple shower head working from a fixed hot water tank. Steam showers emit the steam into a closed cubicle which helps avoid waste and maintains the ambient temperature perfectly comfortable, whilst not steaming up mirrors and other bathroom fixtures. Steam showers also use less water than conventional showers. Added value: investing in your bathroom makes sense. Home is about comfort and convenience, and if yours has the latest in bathing facilities you can be sure that when it does come time to sell and move on, such installations will be valued and appreciated by potential buyers. More importantly, you and your family can enjoy the many benefits of steam showering for many years to come, and if one day you can’t bear the thought of leaving your steam shower behind – you could always take it with you, as many modern styles are designed as stand-alone enclosures and simply need to be disconnected – transported – and reconnected in another location.